Highly Recommend written by mobile rare good item. Looking forward to let my little one use this training cup herself. Fast delivery via QXpress. Authentic Philips Avent products at a cheaper price than baby fair after Q Points + Coupons. The bottle is nice. My baby can hold the bottle herself. Hope that she likes the sippy cup. Make it so much easier for my baby to use. baby loves to hold the handle. mummy loves it too. No free shipping for combined orders? I tried to order of above $50 but was still charged shipping. The shipping type must be in the same type. 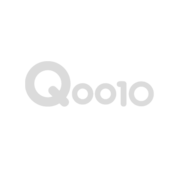 E.g: $50 all Qprime orders or $70 all Qxpress. What are you trying to buy? Maybe i can try to assit. Hi, I want to check the item come with teat as well as soft silicone spout? Is this trainer bottles with Natural teats made in UK or Indonesia? Do you have trainer bottles with Classic teats instead? Waiting for your reply urgently. Thank you. Hi, it is made in UK. Trainer bottles wih classic teats are not availble at the moment due to low demand. Could you pls confirm trainer natural bottles 4mth+ are using teats for 6mths+? Is the teat also made in UK? the size is 3m+ teats. Bottle is made in UK. Teat is not stated. Anyway in retails shops in sg, natural teats are made in Indonesia. the bottle is Natural series, but teat you ordered is Classic teats. hi, while packing found that the new batch of cups are made in Indonesia. its the same with retail versions. please advise if you still want it or do u want us to refund. Hi there. Pls proceed to ship then.